Carlisle offers the perfect selection of break‐resistant pitchers. 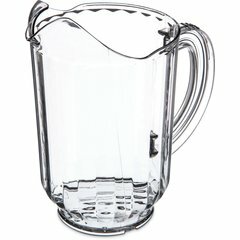 The New SAN Pitcher is a BPA-free version of the decades-old industry favorite. This timeless design looks great and takes the drama out of serving and pouring.